As life long surfers there are many stories of checking the forecasts, packing up the car and road trippin it for some epic surf only to arrive and be bitterly disappointed by the less than epic conditions. Just like a well prepared surfer has a quiver of boards to cover different conditions, a well prepared surfer should also have a quiver of information to help make the best decision on where to surf. Right now that quiver consists of wave and weather forecasts as well as a scattering of NOAA wave buoys that are mostly far offshore. We are adding a new and extremely important tidbit of info to that quiver, real-time nearshore ocean conditions that include wave height, wave period, water level and water temperature. 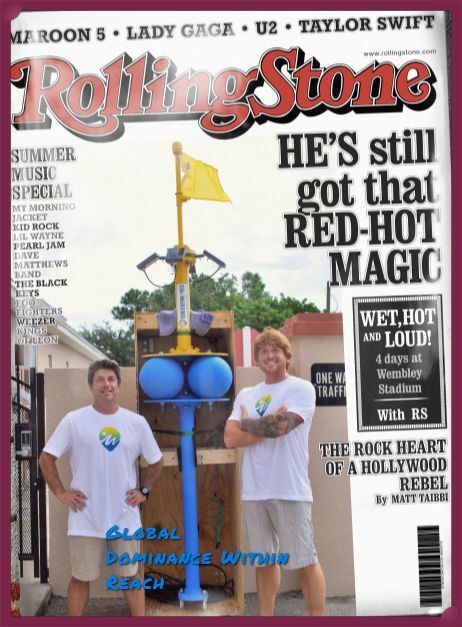 Our mission is to install a network of nearshore real-time wave buoys that has two end games, global dominance and to see our smiling faces on the cover of the Rolling Stone! We are starting locally, which for us is the central east coast of Florida, followed by expansion throughout Florida and then North up the eastern seaboard of the US. The information we provide on our website is free of charge and does not require a membership to access. As we continue to grow, we will develop additional data products that will require a membership. In addition to being surfers, we are also engineers. In order to succeed we need to be able to obtain equipment that is very cost effective and easy to deploy, so if parts of the network get destroyed in a hurricane we can quickly and easily replace the damaged buoys with new ones. To achieve this we design and manufacture much of our equipment in house with a strong commitment to keeping manufacturing and assembly in the USA. The following quote from the movie Dead Poets Society (1989) sums up how we feel about what we do. And the human race is filled with passion. And medicine, law, business, engineering, these are noble pursuits and necessary to sustain life. Check The Waves IS OUR VERSE. While a passionate surfer I will not be turning pro this week, and it doesn't look good for next week either. I grew up in Newport R.I. surfing in wet-suits almost year round and longed for a lifestyle that would allow me to surf year round without a wet-suit. I graduated from the University of Rhode Island in 1989 with a B.S. in Electronics Engineering and shortly after took the next several years off to travel the world gaining the other half of the education they don't teach in school. Once back, I decided to relocate to the Sunshine State to start living the dream of warm water surfing. After a couple of years working in the hospitality industry I decided to further my education in a way that would keep me near the ocean so I began to pursue a graduate degree in Physical Oceanography at the Florida Institute of Technology. By now it was almost 10 years since my time at URI , with little job experience under my belt I thought electronics had passed me by. Then I met my adviser who was a major electronics geek and he got me fired up about electronics all over again. From then on everything I did at FIT had some type of electronic gadgetry involved. After graduation I worked for the 'man' for a few years but was never really fulfilled because of a deep seated desire to be part of something bigger, something where the bottom line, while necessary, was not the driving force. In 2012 I went out on my own designing, manufacturing and deploying my own line of wavegauges as a data collection service. It was during this time that I realized what that something big was going to be for me, a network of nearshore real time wave buoys. Hence, Check The Waves was born.